I’ve teamed up with some amazing businesses over the past year and a half whether it be sponsored posts to product endorsements, features & reviews to giveaways. Click on their logos below to learn more about them or shop! 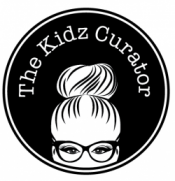 Do you have a business/product/service you’d love The Kidz Curator to endorse, write a feature on or review? Would you like me to run a giveaway or competition for you? My mission, as The Kidz Curator, is to share affordable, fun and on-trend kids’ stuff and I am always looking for businesses, large and small, with amazing products/services which fit this brief and would like to be showcased to my superb follower base. If you are interested in a collaboration with The Kidz Curator, please complete the form on my Contact page or email me at hello@thekidzcurator.com and we can start the conversation! This blog is a personal blog written and edited by The Kidz Curator. For questions about this blog, please contact Rosie Read (hello@thekidzcurator.com). The owner of this blog is sometimes compensated to provide opinion on products, services, websites and various other topics. Even though the owner of this blog receives compensation for her posts or advertisements, she always give her honest opinions, findings, beliefs, or experiences on those topics or products. The views and opinions expressed on this blog are purely the blogger’s own. Any product claim, statistic, quote or other representation about a product or service should be verified with the manufacturer, provider or party in question.